A realtor breathes new life into a Clayton home while preserving its storied past. Don’t mess with perfection. After rehabbing multiple old houses—and selling countless more—realtor J. Warner understands the truth to the old adage. 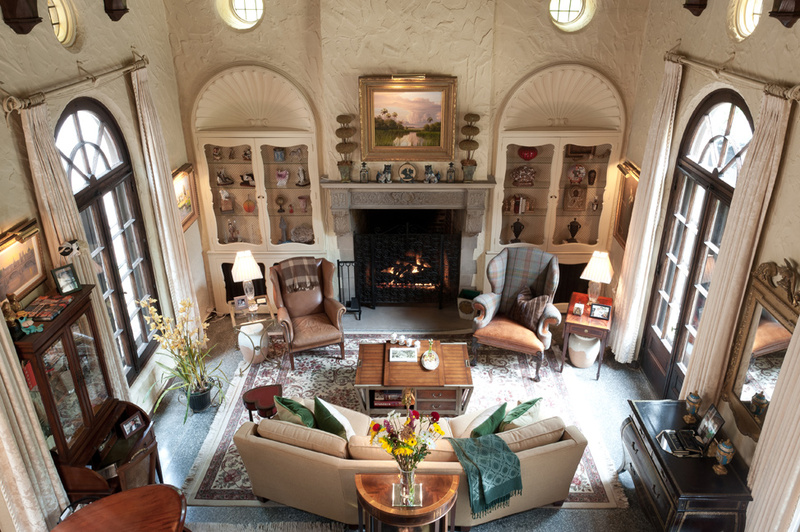 So when he and his partner, George Hettich, found their current Clayton home, they knew to leave well enough alone, preferring instead to allow the house’s elegant proportions and sophisticated details to speak for themselves. Once the home of William Ridgely Young, the renowned early 20th century architect and founder of the St. Louis firm Maritz and Young, the house features the graceful lines and beautiful touches its designer was known for. 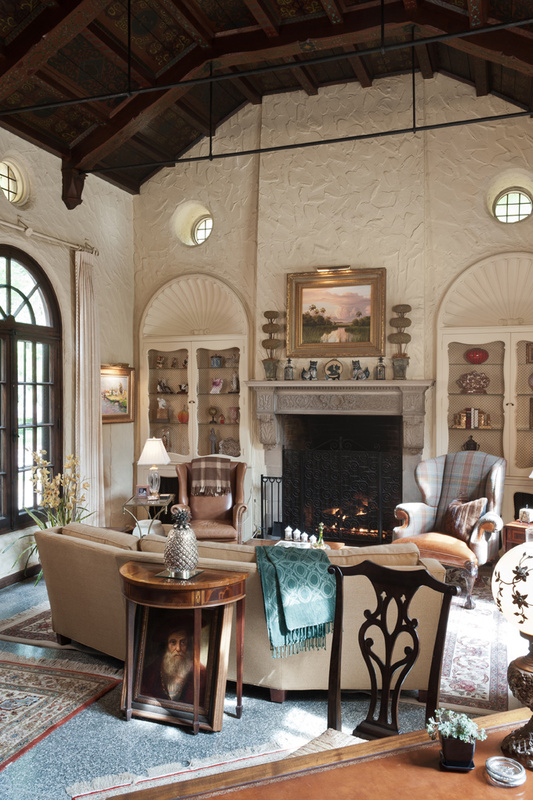 Overlooked by an open mezzanine, the living room stuns with a dark wood cathedral ceiling detailed with a painted geometric pattern, plaster walls textured to look as though they’re made of stone, and four sets of French doors topped with arched transoms. 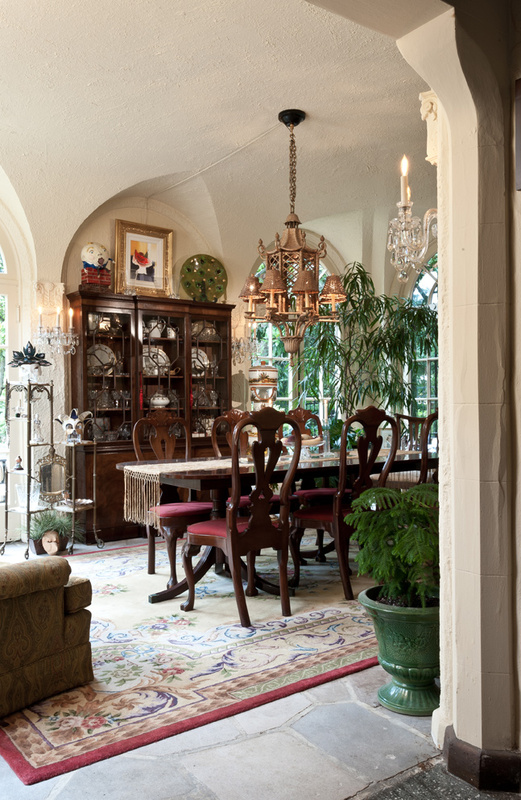 Three walls of French doors flood the dining room with eastern light in the morning, making the small room feel anything but; in the evening, warm lamplight from the room’s crystal sconces spotlights the cloister vaulted ceiling. The duo’s eclectic mix of traditional furniture, comprising family pieces, items collected on travels and objects with sentimental value, fits well with and adds to the house’s Old World aesthetic. “We basically knew where everything would go when we purchased the home,” Warner says. 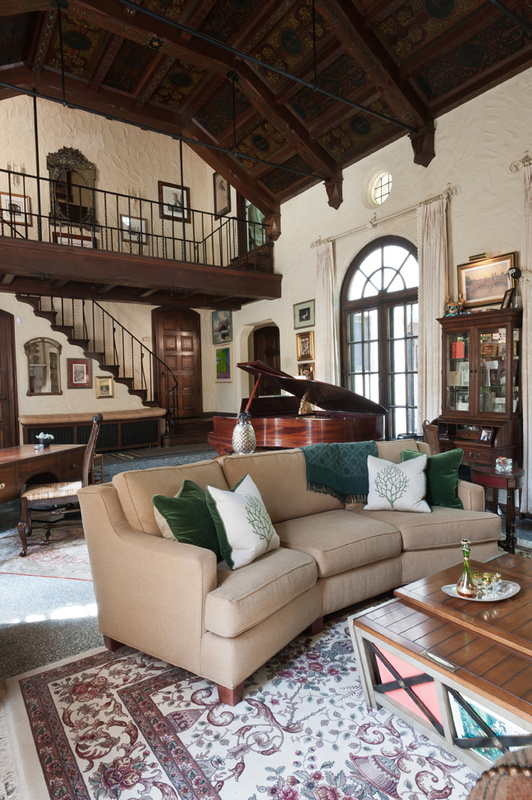 Though the spaces hold many treasured pieces, they don’t feel crowded—a feat aided by the dining room’s airy architecture and the living room’s multiple area rugs that create separate vignettes based on use: sitting area; desk space, and the once-fire-damaged 1917 Ludwig Aeolian piano that George restored.